They are valid through 8/31/2019. You will receive discounts at local food establishments, retail stores AND MORE! The best thing about these cards is that they are NOT ONLY for a one time use BUT CAN BE USED AN UNLIMITED AMOUNT OF TIMES from now through 8/31/2019. Don't miss out on this opportunity to get your discount card today! If a Longmeadow Football player comes to your door looking for you to purchase a CARD...PLEASE SAY YES! 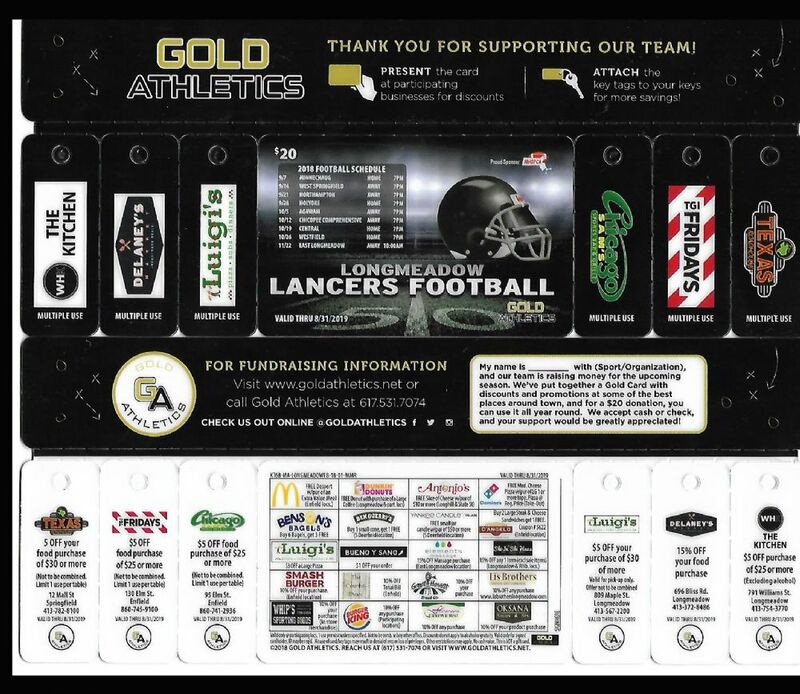 Expect to see a LHS Football Player at your door in the days to come selling these cards. See the tab on top Gridiron News...Gridiron Club Documents for many necessary forms. 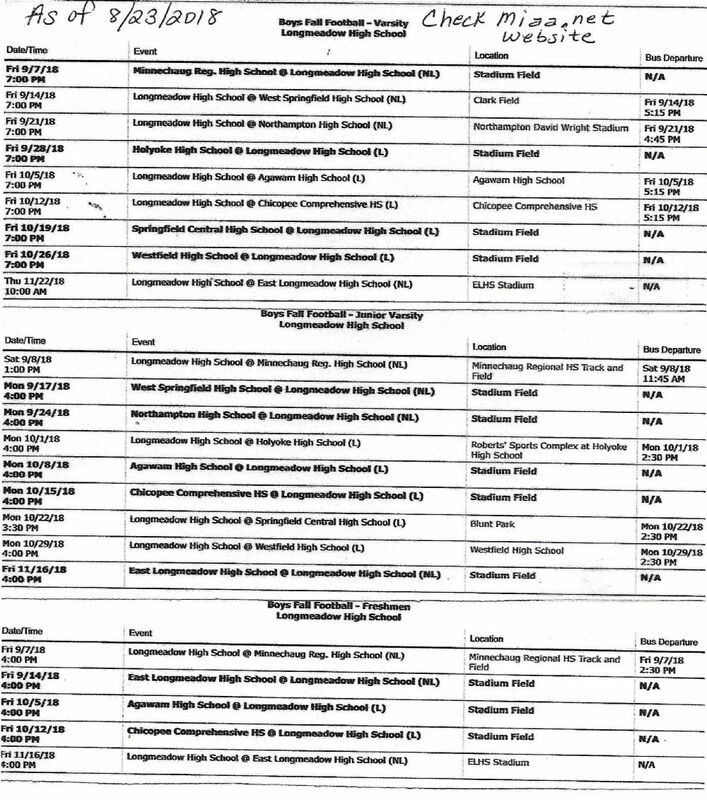 Don't forget to register for football on the Longmeadow High School page under Athletics.